In this magical and epic novel, the celebrated author of Urban Cowboy delivers a Texas-size love story that transplants the legend of Arthur, Guinevere, Lancelot, and Merlin alive and well to the Old West -- to stunning effect. Code of the West begins when Jimmy Goodnight, a young, earnest cowhand, recovering from having been brutally abducted by Comanches who slaughtered his family, sets his life on a new and surprising course by visiting a county fair. There he agrees to try to pull out an ax that has been deeply imbedded in an anvil and that has defied the efforts of the strongest men in Texas. Jimmy's astonishing and triumphant achievement at the fair changes his life. With the prize money he follows his dream, recruits cowboys, puts together a herd of cattle, and drives them across the plains to a deep canyon, where he intends to make his own private kingdom. Goodnight's luck and courage bring him an early and gratifying success. Above all, they bring him the comradeship of his men, and the friendship of a lifetime, when he meets Jack Loving, who is everything Jimmy Goodnight isn't -- handsome, graceful, a naturally gifted horseman, and a great dancer. Together, Goodnight and Loving make a formidable team, and their relationship is one of complete trust, the bedrock on which Goodnight's growing empire rests, on a seemingly solid foundation -- until a woman appears with whom both men fall in love. 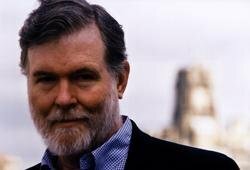 Compulsively readable, cleverly interweaving Western history (Loving and Goodnight are both based on real people in the historical West) and Arthurian legend, Code of the West is a powerful love story, a sweeping adventure, a great "Western" -- and just the kind of unexpected, unusual, and hugely successful work of fiction that has sealed Aaron Latham's reputation. Dan Rather [Code of the West] is terrific, absorbing. Reincarnations of King Arthur and his Knights of the Round Table ride the range, love, and fight in a saga worthy of them. The true West meets Camelot. Not since Giant and Lonesome Dove has any author pulled off anything quite like this. Larry L. King, author of The Best Little Whorehouse in Texas Aaron Latham first caught my attention with his CIA novel, Orchids for Mother, and, of course, grabbed the nation with his popular Urban Cowboy. 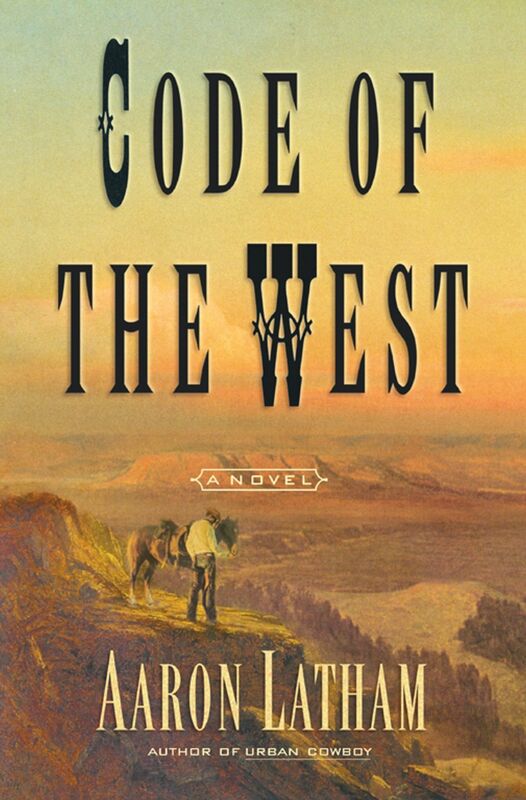 Don't miss his new novel, Code of the West, advertised as a retelling of the King Arthur legend set in Texas. While accurate, that claim does not capture the originality, vitality, and old-fashioned entertainment found in Latham's new book. You need to read Code of the West to fully appreciate what Latham has done. James M. McPherson, author of Battle Cry of Freedom I couldn't put Code of the West down. Aaron Latham has pulled off the seemingly impossible: to retell the legend of King Arthur, Sir Lancelot, and Queen Guinevere in the ranching country of west Texas in the 1870s. The myth of Arthur and the myth of the cowboy share many themes -- most of all a code of values that help us understand the Old West's contribution to America's understanding of itself.